Leasing a new vehicle is a major decision that often requires a lot of thought. Youll be driving this vehicle for several years, so taking the time to make sure you get exactly what you want is very important. In addition, you want to make sure you are getting the best possible deal when you lease an Acura. As you likely already know, there are a lot of options when it comes to Acura leasing in NYC and Brooklyn, so choosing the right leasing provider is essential. Car Lease Specials has been helping people find the perfect vehicle for their needs since 2008. We buy great vehicles directly from the factory, which allows us to get exceptional rates. We also keep a low overhead to help further reduce our expenses. 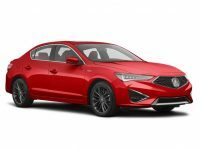 These savings are all passed on to you in the form of lower lease rates for your Acura. When it comes to finding the best car lease for an Acura, you have come to the right place. We either have in stock, or can special order you any type of Acura you may be looking for. 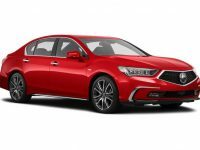 This includes the Acura TLX, MDX, ILX and RDX, which are the most popular models from the Acura line. If you have a specific vehicle you are thinking about, just give us a call and we can make sure to have it available at a location near you. As a leading leasing company serving NYC, Brooklyn and the surrounding area, we are always happy to find you the perfect vehicle to test drive. So, whether you are from Westchester, Yonkers, Paramus or anywhere in the area, we are here to help lease you a car that is right for you. One of the biggest benefits of Acura leasing is that you are able to get the vehicle of your dreams, with all the options that you want, without having an unmanageable car payment each month. 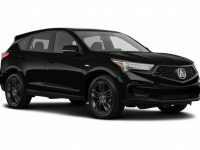 We have flexible leasing options available to all our customers, which can help ensure you are always able to drive a great looking, reliable, late model Acura. Since we work hard to keep our costs low, we can offer the best leasing deals in the area. This can help to save you thousands of dollars over the course of your lease. To make the deals even better, we can help you get out of an old lease or trade in an existing vehicle so you can get in a new one right away. No matter what it is that you need, we are here for you every step of the way. 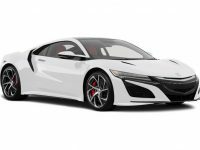 We have been helping people with Acura leasing for years, and are ready to help you as well. We have locations in Manhattan, Westchester, Yonkers, Brooklyn and Paramus, NJ, so no matter where you live, we are nearby. If youre in the market to lease a great new car, give us a call anytime to set up an appointment, or just stop by one of our car leasing locations to speak with a friendly sales professional today. Our Price Match Guarantee ensures we match or beat any auto lease price.